Having a friend for lunch? Apricot Chicken Salad is delicious. 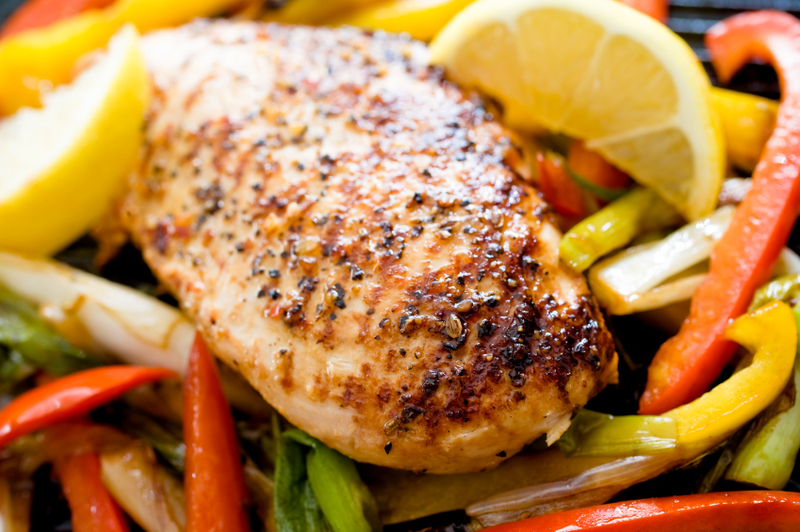 Easy Baked Chicken Recipe. I usually serve this with rice. Easy Dinner Recipe. Try our Chicken and Penne Pasta with tomatoes, capers, basil and mozzarella cheese. This is one of my favorite salads. I love the figs and chickpeas together. You can serve the salad on lettuce or alone. Easy recipe for chicken casserole. Recipe created by Mitzi Dulan, registered dietician, author and nutritionist for NFL and Major League Baseball teams. Recipe for chicken Marsala created by Chef Nick Stellino, of PBS-TV. 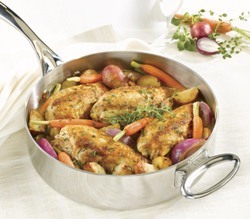 Very flavorful chicken casserole recipe. Easy to make with little cleanup. This recipe one of my favorites. I usually get the "Chicken Stroganoff???" It is well worth making. Easy Chicken Recipe. The prosciutto gives the dish a wonderful flavor. Aunt Sarah's recipe for Cornish Hens. Recipe for Cornish Hens with currant jelly, sherry glaze. Chicken Salad Recipe adapted from Constance Sprys recipe for the Queens Coronation lunch in 1953. Creamy chicken and mango dish. Creamy Italian Crockpot Chicken can be served over rice or noodles. Crispy Chicken with a wonderful topping of corn and tomato confetti. Recipe courtesy of Old Bay. Crockpot Buffalo Wings are a Superbowl Sunday must. Very easy to make. Very easy chicken recipe with spinach, feta and sun-dried tomatoes. Submitted by JohnJ. This recipe was my mothers. Every time I went to visit I would ask her to make this. I just recently found her recipe stuck in the back of an old cookbook. After you roast or slow cook a whole chicken or turkey and serve it, there is often a lot of meat left on the bones. This recipe describes how to turn that left-over poultry meat into a delicious Gumbo. A Taste of the Tropics for more great recipes. The marinade has oregano, basil and rosemary to compliment the lemon flavor. MaMa Batton's Fried Chicken Recipe. This is a Sunday Dinner favorite. Serve with some collards and mac and cheese. The chicken is in a creamy paprika sauce. My sister made this recipe when we visited her in Belize. It is her copy kat version of a meal she liked at a local restaurant. Serve over rice. Southern Fried Chicken Recipe courtesty of Ritz Crackers. Dinner party presentation with only 10 minutes of preparation! Recipe Source: LaDainian Tomlinson of the New York Jets. Easy Roast Chicken Recipe that tastes so good. Looking for a healthier chili recipe? Try white chili recipe.